"In a healthcare or hospital environment, ensuring we have zero downtime is critical to patient care and safety, so the ability to upgrade to the latest and greatest software without bringing any part of our network down or affecting users is extremely valuable for us"
Aruba, a Hewlett Packard Enterprise company (NYSE: HPE), today announced that Tahoe Forest Health System is replacing its existing Cisco network with an Aruba Mobile-First network to enable a new and improved generation of patient care. By standardizing on Aruba for its two critical access hospitals and six specialty clinics, Tahoe Forest expects to save between $750,000 and $1 Million in operational costs over the next five years, while also improving network performance and simplifying IT management. Serving nearly 150,000 patients annually, Tahoe Forest Health System manages Incline Village Community Hospital in Incline Village, Nevada and Tahoe Forest Hospital in Truckee, California. The Health System was awarded one of the first-ever five-star ratings for patient satisfaction from the Centers for Medicare and Medicaid Services (CMS). The Hospital Compare star ratings relate to a patient’s experience of care and are based on data from the Hospital Consumer Assessment of Healthcare Providers and Systems Survey (HCAHPS). 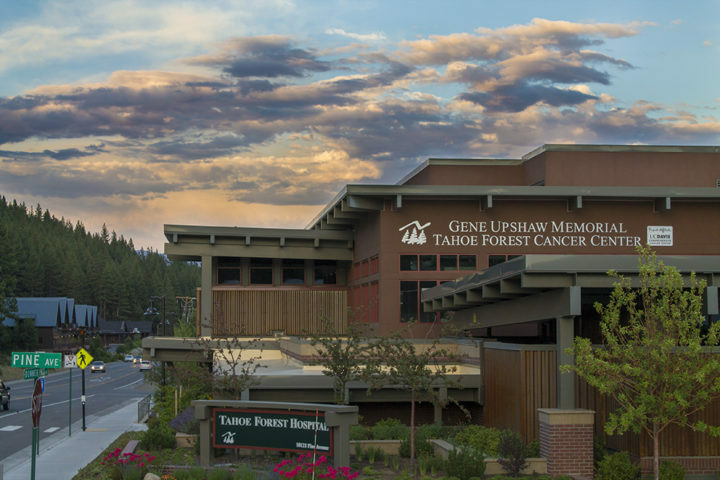 Tahoe Forest operates six specialty clinics including the Gene Upshaw Memorial Tahoe Forest Cancer Center, which, in partnership with UC Davis, provides world-class cancer treatment in a rural setting including a virtual tumor board that relies heavily on the provider’s network infrastructure for communication between sites. Patient care and experience is Tahoe Forest’s top priority and a key driver for the network infrastructure refresh. In addition, the provider’s existing Cisco network was too expensive to maintain and according to Chief Information and Innovation Officer, Jake Dorst, it was clear the organization needed to simplify and right-size its infrastructure. 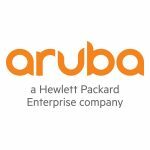 Dorst and his team began to look at alternative network vendors and Aruba rose to the top of the pack. Working with partner WrightCore of Nashville, Tennessee, Tahoe Forest deployed Aruba Access Points and Mobility Controllers, Aruba Access Switches, AirWave for network management and ClearPass for full wireless and wired Network Access Control (NAC). The organization is also using ArubaOS 8 and is particularly impressed with the Live Upgrade feature which enables it to upgrade the entire network in real time without affecting users or medical devices. “In a healthcare or hospital environment, ensuring we have zero downtime is critical to patient care and safety, so the ability to upgrade to the latest and greatest software without bringing any part of our network down or affecting users is extremely valuable for us,” Dorst noted. 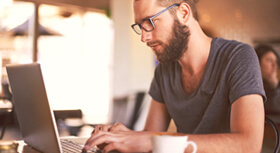 He added that Aruba OS 8’s AI-powered AirMatch feature also delivers significant benefits to the IT team, saving them time and effort by making adjustments to the network automatically. The new Aruba Wi-Fi network is vital to the successful and cost-effective operation of both the primary Tahoe Forest Hospital and the Incline Village Community Hospital, which sees primarily ER patients for outdoor activity-related injuries like skiing, mountain biking and hiking. 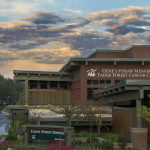 The network is critical for keeping Incline Village tied into Tahoe Forest’s Epic Electronic Health Record (EHR) system so doctors can access patient records and view imaging. X-ray, CT and MRI imaging can be performed at the main campus, then shared with other facilities over the network. The Aruba network allows doctors and nurses to quickly access information that is essential to accurate patient diagnosis and treatment, resulting in better patient care. To access the network, the staff at Tahoe Forest’s facilities use a mix of corporate-issued and personal devices as well as some mobile devices like Haiku and Canto that are specific to the medical applications that run over them. In addition, Dorst noted that the number of devices on the guest network has been steadily growing and he expects to see a continued increase in usage amongst patients, family members and visitors. Moving forward, Dorst also expects to see more IoT devices connecting to the new network. While Tahoe Forest currently uses a smattering of IoT devices such as temperature monitors for refrigerators, Dorst said he’s confident that the organization can move forward with a more robust IoT deployment in the future, now that they have the Aruba network and ClearPass in place. “Security around IoT is always a big concern for healthcare systems, but by combining ClearPass with our Palo Alto infrastructure and Extra Hop software, I think we can be ready to deploy more IoT devices in the near future,” he said.